Chemistry 101 takes the student on a captivating tour through God's chemical world. This 4 DVD set contains 19 individual, 20-45 minute segments examining the world of chemistry and the periodic table of the elements. Included on the fourth disc is a printable (PDF) Guidebook with quizzes covering the material presented in each segment and a one year high school Course Booklet. 19. The Future of Chemistry Part 2 (40 min. Exploring the World of Chemistry by John Hudson Tiner presents an exciting and intriguing tour of chemistry as each chapter unfolds with facts and stories about the discoveries and discoverers. Chapter 10: What about the Ice Age? Chapter 11: How about carbon dating? Chapter 16: DNA—what does it prove? Chapter 1: Matter—Solids, Liquids, and Gases Students are introduced to the idea that matter is composed of atoms and molecules that are attracted to each other and in constant motion. Students explore the attractions and motion of atoms and molecules as they experiment with and observe the heating and cooling of a solid, liquid, and gas. Students help design experiments to test whether the temperature of water affects the rate of evaporation and whether the temperature of water vapor affects the rate of condensation. Students also look in more detail at the water molecule to help explain the state changes of water. Students experiment with objects that have the same volume but different mass and other objects that have the same mass but different volume to develop a meaning of density. Students also experiment with density in the context of sinking and floating and look at substances on the molecular level to discover why one substance is more or less dense than another. Students look more deeply into the structure of the atom and play a game to better understand the relationship between protons, neutrons, electrons, and energy levels in atoms and their location in the periodic table. Students will also explore covalent and ionic bonding. Students investigate the polarity of the water molecule and design tests to compare water to less polar liquids for evaporation rate, surface tension, and ability to dissolve certain substances. Students also discover that dissolving applies to solids, liquids, and gases. Students explore the concept that chemical reactions involve the breaking of certain bonds between atoms in the reactants, and the rearrangement and rebonding of these atoms to make the products. Students also design tests to investigate how the amount of products and the rate of the reaction can be changed. Students will also explore endothermic and exothermic reactions. In addition, for more advanced students, we will suggest readings from any of the standard textbooks in General Chemistry. A particularly good free on-line resource is Dickerson, Gray, and Haight, "Chemical Principles, 3rd Edition". by the formula 2n2 where n is the number of the shell. Want more equations to balance? • ChemBalancer* - Challenge your students to this interactive game about balancing equations. Visit the Fun Based Learning website for worksheets and other Chemistry games. • GenChem - Balancing Equations Tutorial* - An excellent interactive lesson to use with your students! The site also provides online practice problems! 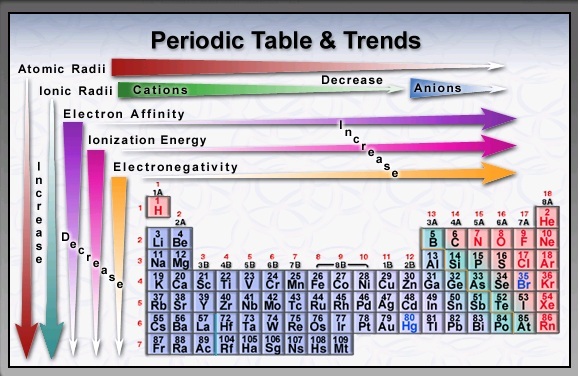 All About Atoms - Learn about the parts of the atom! Questions and Answers - Have a question? Need an answer? Check here first! Glossary of Science Terms - Definitions of some of the terms used on this site. Physics Out Loud - Jefferson Lab scientists and other experts explain some of the common words and terms used in nuclear physics research. Jefferson Lab Virtual Tour - How do scientists explore inside atoms? One of my favorite instructional resources on the Internet is the Periodic Table of Videos, produced by the University of Nottingham. Click to enlarge. Can see each electron shell diagram. The Outline of Science was written specifically with the man-on-the-street in mind as the target audience. Covering scientific subjects ranging from astronomy to biology to elementary physics in clear, concise and easily understood prose, this popular science work is largely as relevant today as when first published in 1922. Before and After Einstein How does an atom-smashing particle accelerator work? Explore the smallest particles known to man, with detailed explanations of protons, electrons, and neutrons, the periodic table, and animations explaining the difference between fission and fusion. Kids will dive into the amazingly complex world of electricity, as they learn all about the flow of electrons, static vs. dynamic energy, and meet figures like Ben Franklin and Nikola Tesla. Kids will take an in-depth look at matter’s many mixed-up forms, discover the difference between chemical and physical changes, and examine matter’s four possible states: solid, liquid, gas and plasma. What do levers, wheels, screws, wedges, and pulleys all have in common? They are all simple machines! Simple machines are devices that make work easier, and this app will help teach kids that they can be found all around you. Packed with rich video and interactive animations, this app brings the topic of Energy to life, as kids discover the various sources and forms of energy we encounter on Earth, and how we as humans can better conserve our use of it. Click here for our new digital series – Chemistry Matters. Click here for new digital series – Chemistry Matters.